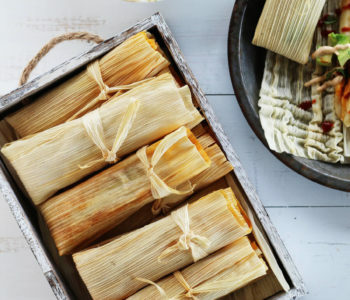 This recipe is kindly sponsored by Litehouse. All ideas and content are mine. 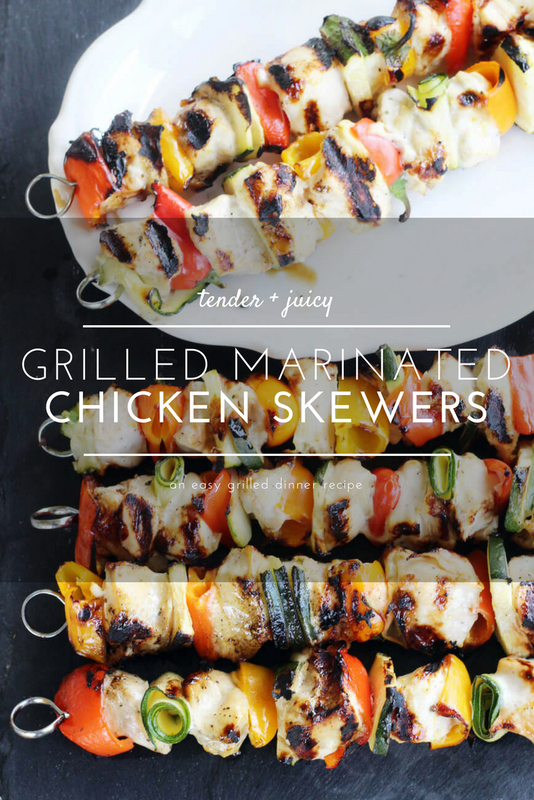 You are going to love this easy recipe for Grilled Marinated Chicken Skewers with fresh veggies. 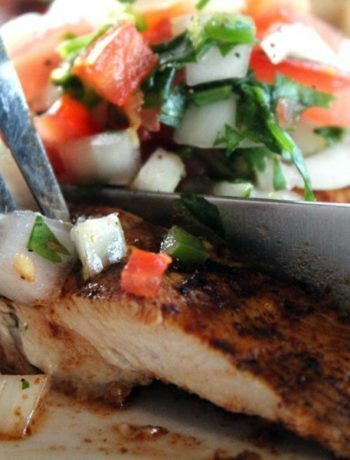 You won’t believe how simple and delicious it is to get tender grilled chicken using our tangy marinade recipe. We have a little trick up our sleeves. No worries, it is a yummy one. Pair wholesome chicken with your favorite colorful vegetables for a wonderful dinner idea. So what’s our secret to perfect chicken skewers? Yep, not even going to make you dig for it. The secret is in the marinade. Think about it. If you just chop up chicken and put it on a stick and throw it on the grill, it is going to taste like bland bird. 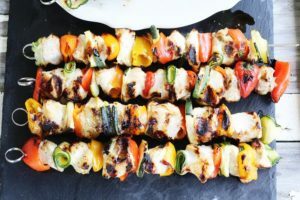 This super-easy chicken skewer recipe starts with a creamy marinade with one of my favorite kitchen helpers: Litehouse Coleslaw Dressing. 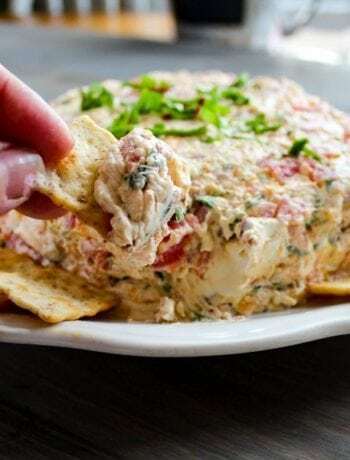 The rich and creamy dressing is typically used for coleslaw and salads, but I love the taste and it makes an excellent base for this delish marinade. 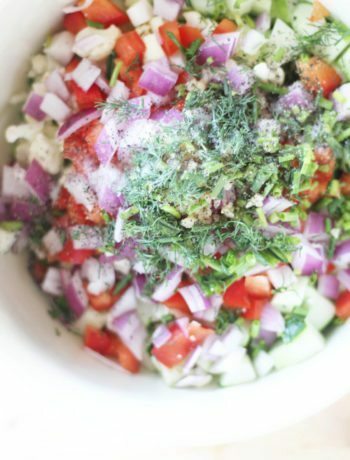 Plus, this dressing is a major time saver. Who wants to be in the kitchen all day? In a bowl, add Litehouse Coleslaw dressing. 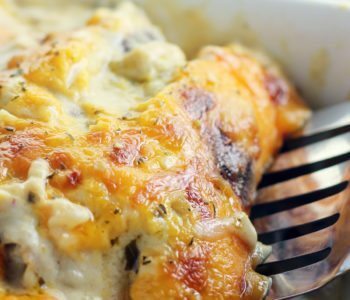 Made from freshly-made mayonnaise, the dressing is super thick and clings to the chicken, coating it so the chicken absorbs all the flavors and stays juicy. Add the zest of one lemon, freshly squeezed lemon juice, and a little salt and pepper. Pour over cubed chicken breasts, stir to coat well. Assemble with your favorite tasty veggies and grill! 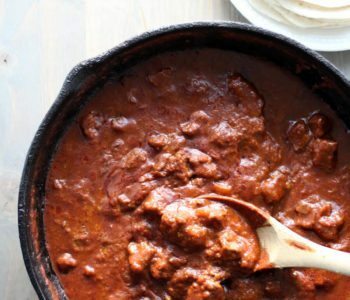 Get the complete ingredient list with exact amounts at the bottom of this post. 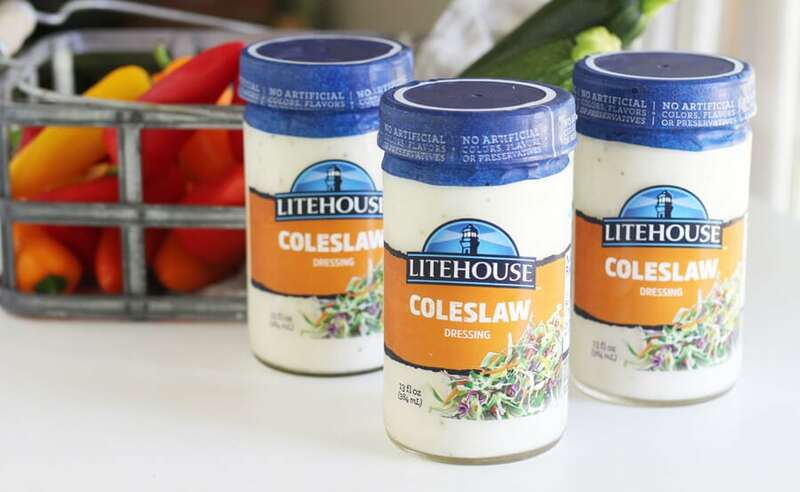 The seasoning blend of Litehouse Coleslaw Dressing is great all by itself. 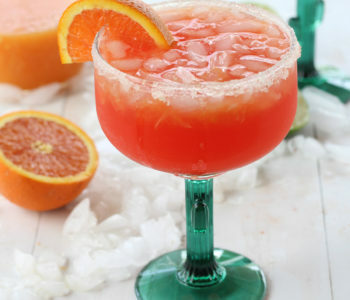 I like that extra burst of lemony flavor and aroma from adding fresh citrus zest and juice. Gives it a little kick. Bonus hacks: Toss the remaining Litehouse Dressing over shredded cabbage and carrots for an easy chilled side dish. (I also like it over pasta and fresh peas.) It can also be used on top of burgers and BBQ, just sayin’. 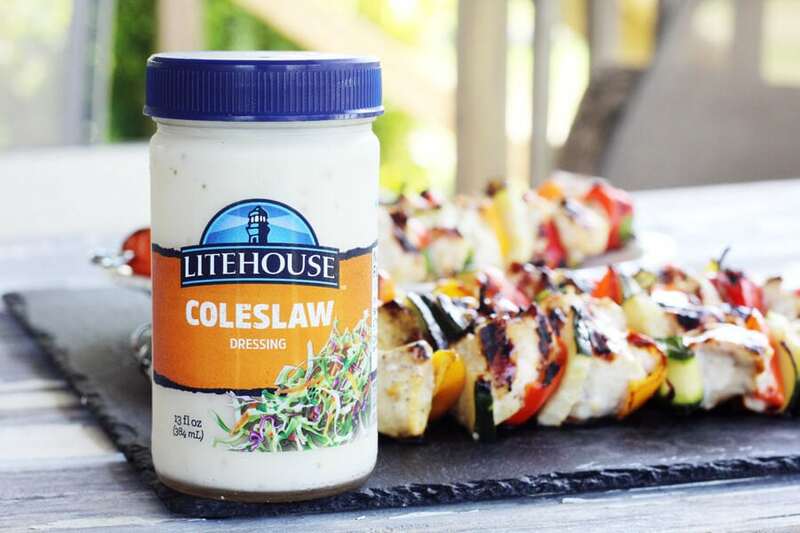 All Litehouse dressings are sold cold, so look for them in the refrigerated section at your local grocery store. Since the chicken is cut into cubes, it will cook very quickly. You want to start with a fairly hot grill and turn the chicken skewers frequently to ensure even cooking on all sides and prevent burning. Actual cooking times will vary based on the type of grill, grill temperature and thickness of chicken. Please refer to the FDA’s recommended cooking times for proper doneness. We picked vegetables that were suited to fast cooking times. Thinly sliced zucchini and sweet mini peppers taste great on the grill. I like mine crisp tender, so this cooking time and method was great. 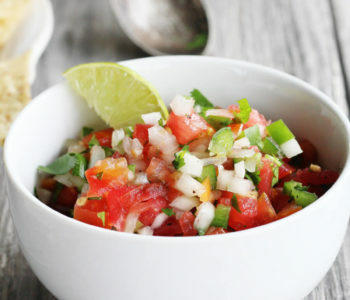 You want to avoid vegetables that take a long time to cook with this recipe (potatoes, etc.). 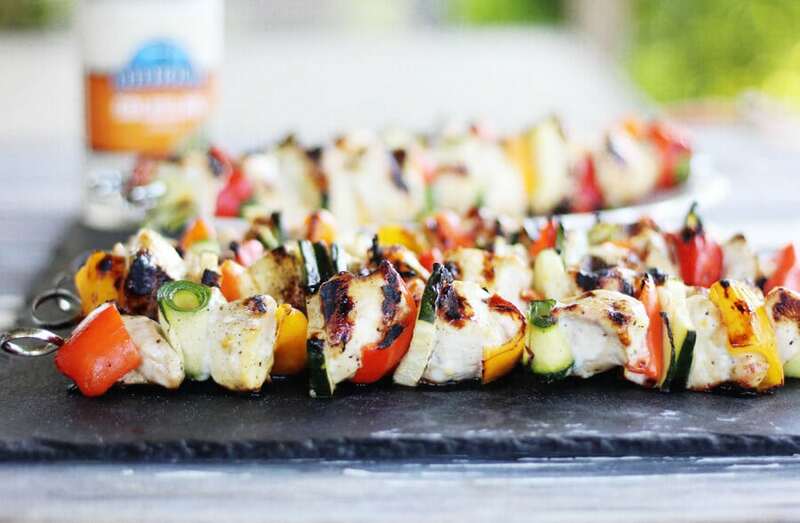 You can’t go wrong with this easy grilling recipe and Litehouse. Click here to Enter the Litehouse Sweepstakes. You can enter every day for a chance to win a Yeti® cooler. Hurry, you have from 06/21/18 through 07/04/18 to enter the sweepstakes. Also enter to win on the Litehouse Facebook page. 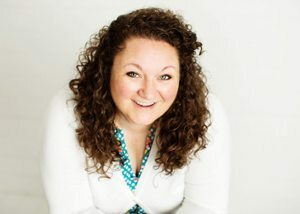 I was selected to create an original recipe using Litehouse as part of a sponsored campaign. All ideas, opinions and content are 100% my own. 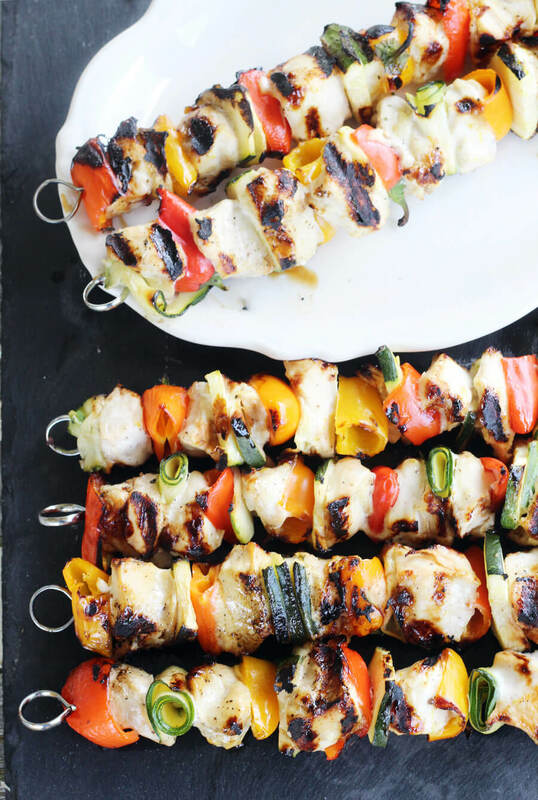 Tender and juicy grilled chicken skewers with fresh zucchini and sweet peppers. This recipe features an easy and lemony marinade for maximum flavor. 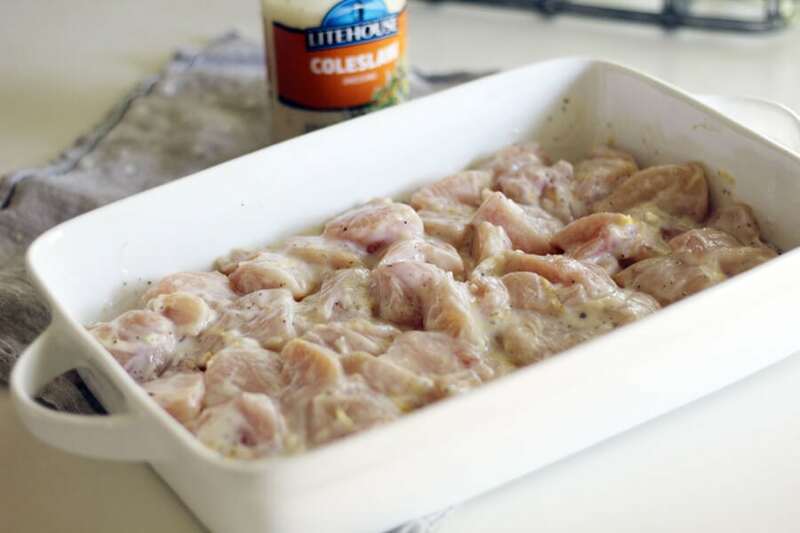 Trim excess fat from the chicken breasts and cut into 1 1/2 inch sized cubes. Place in a shallow dish. 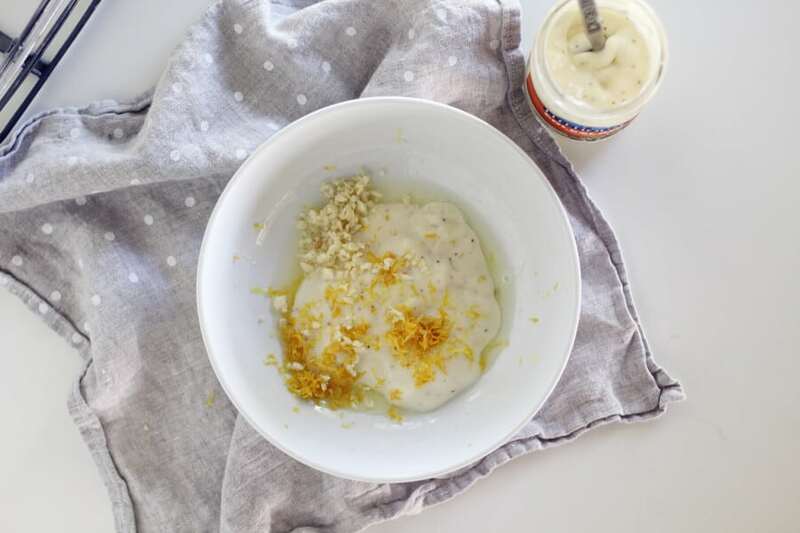 In a bowl, whisk together the dressing, all of the lemon zest and HALF of the lemon juice. Add in the salt and pepper and whisk until combined. Pour the marinade over the chicken. Stir to coat all of the chicken pieces. Cover the chicken and refrigerate for at least 2 hours. Assemble the chicken skewers by alternating whole sweet peppers, marinated chicken, and zucchini. Grill on a pre-heated grill, turning frequently to cook evenly and prevent burning. Refer to FDA recommendations for doneness. 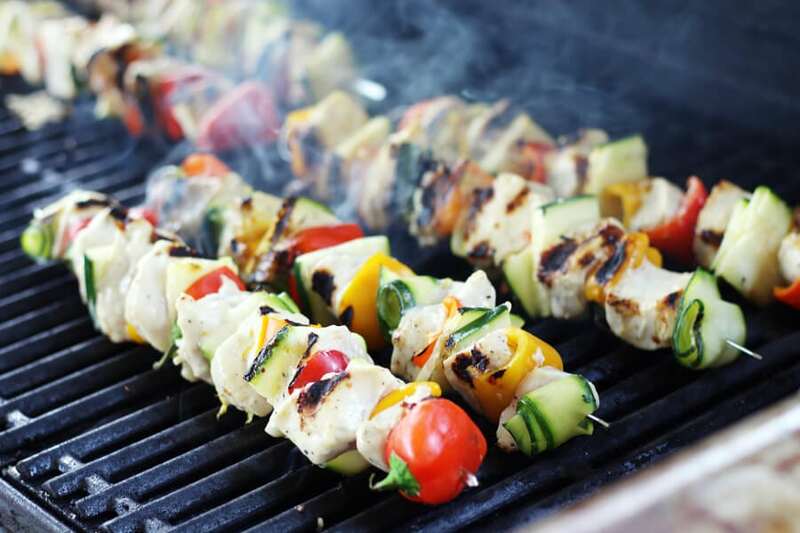 If you are using wooden skewers, soak them in water for 15 minutes before grilling to prevent the sticks from burning. Our chicken skewers were cooked on a medium high heat (350) grill for a total of 12 minutes. Your cooking times WILL VARY. To ensure chicken is done, cook until the center of the thickest piece is no longer pink and juices run clear. Do not overcook or the chicken will be dry.